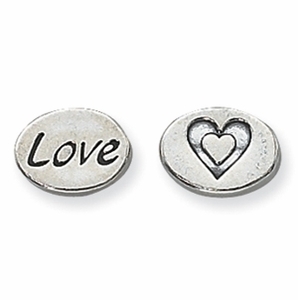 Sterling Silver Message Bead. Love on one side, and a Heart on the other! Add a special touch with a message bead! Measures approximately 11mm with a 1.5mm hole.